Transcript of a discussion on how self-service and consumer habits are having an impact on user experience design for business applications. Our next technology innovation thought leadership discussion focuses on the new user experience demands for applications, and the impact that self-service and consumer habits are having on the new user experience design. 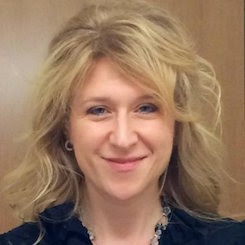 With that, please join me in welcoming our guest, Michele Sarko, Chief Design Officer at SAP Ariba. Welcome, Michele. Michele Sarko: Thank you, Dana. Thank you for having me. Gardner: There seems to be a hand-off between the skills that are new to apps' user interface design versus older skills that had a harder edge from technology-centric requirements. Are we seeing a shift in the way that software is designed, from that user-experience perspective, and how different is it from the past? Sarko: It’s more about understanding the end users first. It’s more about empathy and universal design. What used to happen was that technology was so new that we as designers were challenging it do things it didn’t do before. Now, technology is the table stakes from which everything is measured, and designers -- and our users for that matter -- expect it to just work. The differentiator now is to bring the human element into enterprise products, and that’s why there's a shift happening in software. The softer side of this is happening because we're building these products more for the people who actually use them, and not just for the people who buy them. Gardner: We've heard from some discussions at the SAP Ariba LIVE Conference recently about the need for greater and more rapid adoption and getting people more deeply into business networks and applications. It seems to me that this user experience and that adoption relationship are quite closely aligned. Sarko: Yes, they absolutely are, because at the end of the day, it’s about people. When we're selling consumer software or enterprise software or any types of business software, if people don't use it or don’t want to use it, you're not going to have adoption. You don’t want it to become “shelfware,” so to speak. You want to make a good business investment, but you also want your end users to be able to do it effectively. That’s where adoption comes into play and why its key to our customers as well as our own business. Gardner: Another thing we heard was that people don't read the how-to manuals and they don't watch the videos. They simply want to dive in and be able to work and proceed with apps. There needs to be an intuitive approach to it. I'm old enough to remember that when new software arrived in the office, we would all get a week of training and we'd sit there for hours of training. But no more training these days. So how do people learn to use new software? Sarko: First and foremost, we need to build it intuitively, so that you naturally apply the patterns that you have to that software, but we should come about it in a different way, where training is in context, in product. We're doing new things with overlays. and to take users through a tour, or step them through a new feature, to give them just the quick highlights of where things are. You see this sort of thing in mobile apps all the time after you install an update. In addition to that, we build in-context questions or answers right there at the point of need, where the user is likely to encounter something new or initially unknown in the the product. So it’s just-in-time and in little snippets. But underpinning all of it, the experience has to be very, very simple, so that you don't have to go through this overarching hurdle to understand it. We can keep those two things separate, making us able to iterate a lot faster. That's enabling us to go quicker and to understand users’ needs. Gardner: I suppose, too, that there's an enterprise architectural change afoot. Before, when we had packaged software, the cycles for changing that would be sometimes years, if not more. Nowadays, when we go to cloud and software-as-a-service (SaaS) applications, where there’s multitenancy, and where the developer, the supplier of the software, can change things very rapidly, a whole new opportunity opens up. How does this new cloud architecture model benefit the user experience, as compared to the architecture of packaged software? Sarko: The software and the capabilities that we're using now are definitely a step forward. With SAP Ariba, we’ve been able to decouple the application in the presentation layer in such a way that we can change the user experience more rapidly, do A/B testing, do a lot of in-product metrics and tracking, and still keep all of the deep underpinnings and the safety and security right there. So we don't have to spend all of our time building it deep into the underpinnings. We can keep those two things separate, making us able to iterate a lot faster. That's enabling us to go quicker and to understand users’ needs. Gardner: The drive to include mobile devices with any software and services now plays a larger role. We saw some really interesting demos at the SAP Ariba LIVE conference around the ability to discover and onboard a vendor using a mobile device, in this case a smartphone. How is the drive for mobile-first impacting this? Sarko: Well, the mobile-first mindset is something that we always employ now. This is the way that we should, and do, design a lot of things, because it puts on a different set of restraints, form factors, and simplicity. On mobile, you only have so much real estate with which to work. Approaching it from that mindset allows us to take the learning that we do on mobile and bring them back to all the other device options that we have. Gardner: Tell me a little bit about your philosophy about design. When you look at software that maybe has years of a legacy, the logic has been there for quite some time, but you want to get this early adoption, rapid adoption. You want a mobile-first mentality. How do you approach this from a design philosophy point of view? Sarko: It has to be somewhat pragmatic, because you can't move the behemoth of the company that you are to something different. The way that I approach it, and that we’re looking at within SAP Ariba, is to consider new ways to improve and new innovations and start there, with the mobile-first mindset, or really by just redesigning aspects of the product. At the same time, pick the most important aspects or areas of your current product suite and reinvent those. It may take a little more time or it may be on a different technology stack. It may be inconsistent for a while, but the improvements are going to be there and are will outweigh that inconsistency. And then as we go, over time, we'll make that process change overall. But you can’t do it all at once. You have to be very pragmatic and judicious about where you start. Gardner: Of course, as we mentioned earlier, you can adjust as you go. You have more opportunity to fix things or adjust the apps and design. As a user, you’re never alone. We see countless other users facing the same challenges as you, with the same needs and expectations. You also said something interesting at SAP Ariba LIVE, that designers should, “Know your users better than they know themselves.” First, what did you mean by that in more detail; and then secondly, who are the users of SAP Ariba applications and services, and how are they different from users of the past? Sarko: What I meant by “know the users better than they know themselves” is that we're observing them, we're listening to them, we're drawing patterns across them. The user may know who they are, but they often feel like they may be alone. What we end up seeing is that as a user, you’re never alone. We see countless other users facing the same challenges as you, with the same needs and expectations. You may just be processing invoices all day, or you may be the IT professional that now has to order all of the equipment for your organization. We start to see you as a person and the issues that you face, but then we start to figure out how we help not only you in your specific need, but we learn from others about new features and requirements that you didn't even think you might need. So, we're looking in aggregate to find out solutions that would fit many and give it to all rather than just solve it one by one. That's what I mean by, "know your users better than they know themselves." And then who are the users? There are different personas. Historically, SAP Ariba focused mostly only on the customer, the folks who made the purchasing decisions, who owned the business decisions. I'm trying to help the company understand that there is a shift, that we also have to pay equal attention to the end users, the people who are in the product using it everyday. As a company, SAP Ariba has to focus on the various roles and satisfy both needs in order for it to be successful. Gardner: It must be difficult to create software for multiple roles. You mentioned the importance of being role-based in this design process. Is it that difficult to create software that has a common underpinning in terms of logic, but then effectively caters to these different roles? Sarko: The way that we approach it is through building blocks and systems. We have design patterns, which are building blocks, and these little elements then get manifested together to build the experience. Where the roles come in is what gets shown or not. Different modules may be exposed with those building blocks to one group of people, but not to the other. Based on roles and permissions, we can hide and show what’s needed. That’s how we approach the role-based design and make it right for you. Gardner: And I suppose too one of the goals for SAP Ariba is to not just have the purchasing people do the purchasing, but have more people, more self-service. Tell me a bit more about self-service and this idea that people are shopping and not necessarily procuring. Sarko: Yes, because this is really the shift that we're trying to communicate design for. We come to work every day with our biases from our personal lives, and it really shouldn't be all that different when talking about procurement. I mentioned earlier that this is not really about procurement for end users; it’s about shopping, because that's what you're doing when you buy things, whether you’re buying them for work or for your personal life. The terminology has to be consistent with what we know from our daily lives and not technical jargon. Bringing those things to bear and making that experience much more consumer-like will enable our customers to be more successful. Gardner: We've already seen some fruits of these labors and ideas. We saw an example of Guided Buying, a really fresh, clean interface, very similar to a business-to-consumer (B2C) shopping experience. Tell me a little bit about some of the examples we have seen and how far we are along the spectrum to getting to where you want to go. Sarko: We're very far down the path of building this out. We've been spending the past six months developing and iterating on ideas, and we'll be able to market the first release relatively soon. And through the process of exploration and working with customers, there have been all of kinds of nuances about policy compliance and understanding what’s allowed and what’s not allowed. And not just for the end user, but for the procurement professional, for the buyer in their specific areas, in addition to for the procurement folks behind the scenes. All of these roles now are thought of as individual players in an orchestra, because they all have to work together. We're actually quite far along, and I'm really excited to see the product come to market pretty soon. Gardner: Any other ideas about where we go when we start bringing more reactions to what users are doing in the software? We saw instances where people were procuring things, but then the policy issue would pop-up, the declaration of, "That's not within our rules; you can’t do that." It seems to me that if we take that a step further, we're going to start bringing in more analysis and say, "Well, you're going down this path, but we have information that could help you analyze and better make a decision." Is that something we should expect soon as well? Sarko: Yes, absolutely. We're trying to use the intelligence that we have to make better recommendations for the end users. Then, when the policy compliance comes in, we're not preventing the end user from completing their task. We're just bringing in the policy person at the other end to help alleviate that other approval, so that the users still accomplish what they started to do. Gardner: We really are on the cusp of an interesting age, where analysis from deep-data access and deep-penetrating business intelligence types of inserts can be made into process. We're at the crossroads of process and intelligence coming together. Sarko: This is an ongoing evolutionary process. We learn from the users each day with multiple inputs: talking to them, watching analytics, listening to customer support. The product is only going to get better with the feedback that they give us. We're listening, learning, reacting, much more quickly than we have before. I expect that you'll see many more product changes and from all of the feedback, we’ll make it better for everyone. Also, our release cycles now have gone from 12 to 18 months down to three months, or even shorter. We're listening, learning, reacting, much more quickly than we have before. I expect that you'll see many more product changes and from all of the feedback, we’ll make it better for everyone. Gardner: Speaking of feedback, I was very impressed with the Feature Voting that you've instituted, allowing people to look at different requirements for the next iteration of the software and letting them vote for their favorites. Could just add a bit more about how that might impact user experience as well? Sarko: By looking holistically at all the feedback we get, we start to see trends and patterns of the things we're getting a lot of traction on or a lot of interest in. That helps us prioritize what we call a backlog -- the feature list -- so that based on user input, we attack the areas that are most important to users and work that way. We listen to the input, every single piece of it. Also, as you heard from last year, we launched Visual Renewal. In the product when you switch versions of the interface, you see a feedback form that you can fill out. We read every piece of that feedback. We're looking for trends about how to fix the product and make enhancements based on users. This is an ongoing process that we'll continue to do: listen, learn, and react. Gardner: All of which would of course enhance adoption and the speed of adoption, so that’s great. I'm afraid we'll have to leave it there. We've been discussing how self-service and consumer habits are having an impact on user experience design. I'd like to thank our guest, Michele Sarko, Chief Design Officer at SAP Ariba. Thanks so much, Michele. Sarko: Thank you. Have a nice day. Gardner: And a big thank you as well to our audience for joining this SAP Ariba-sponsored business innovation through leadership discussion. I'm Dana Gardner, Principal Analyst at Interarbor Solutions, your host and moderator. Thanks again for listening, and do come back next time. Transcript of a discussion on how self-service and consumer habits are having an impact on user experience design for business applications. Copyright Interarbor Solutions, LLC, 2005-2016. All rights reserved.